It’s a Bird. It’s a Plane. No, It’s SCOTUS!! In a 6:3 decision, SCOTUS rescued Obamacare once again. Obamacare, untouched by Donald Trump and the Anti-Death Panelists, was almost brought to its knees by a single word; a lowly, miserable, reclusive preposition – “by”. The plaintiffs in King v. Burwell alleged that the IRS was illegally subsidizing people in over thirty states where the federal government, not the state, established the online exchanges. The administration claimed that the subsidies applied in all states. That the language was admittedly sloppy and “by the state” also meant “by the federal government.” The country is now so polarized that even prepositions must take sides. 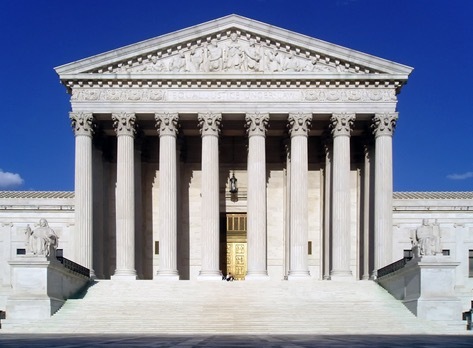 As the health care community waits for the outcome of King v. Burwell, the latest Affordable Care Act (ACA) challenge, the focus has been on a key question: What happens if the Supreme Court doesn’t allow the federal healthcare marketplace to continue to offer premium tax subsidies? But how such a decision would affect the rate of insurance is just the tip of the iceberg. Eliminating federal subsidies impacts a whole range of ACA policies that were carefully navigated during the legislative process. As we wait for legal decision, we have an opportunity to examine whether the choices made in 2010 remain on solid ground if a significant portion of subsidized coverage disappears. The ACA is the result of a complex web of compromise and, of course, a healthy dose of politics. By its very nature, the legislative process seeks to balance interests and assign responsibilities. In the case of the ACA, this meant that a dramatic coverage expansion helped define which stakeholders – providers, insurers, employers, and others – would benefit down the line in the form of new customers (and revenue) or reduced costs. In turn, it was reasoned, these stakeholders would bear burdens, in the form of reduced revenue or new tax or regulatory obligations, to help pay for the legislation. If only the trade offs were that simple. In reality, complex and often charged discussions took place with numerous stakeholders and were linked to policies that extended beyond healthcare coverage (e.g. Medicaid drug rebates). Additionally, since the law passed numerous efforts to repeal, amend, or delay key ACA financing components – including insurer fees, medical device taxes, hospital subsidies, and the small business mandate – have surfaced and threatened to upend the ACA’s attempted balancing act. King v. Burwell: Will the Supreme Court Save the Republican Party from Itself? Last week, the Supreme Court heard arguments in the most recent and pernicious attack on the Affordable Care Act – aka Obamacare. In the absence of a dysfunctional Congress, the case would be beneath the dignity of Court: it addresses no complicated legal issues that might guide future decisions of lower courts. Instead, the Supreme Court has been asked to decide whether a drafting error resulting in one unfortunate phrase in the much maligned 2000 page law –“Exchange established by the States” — means that more than 6.3 million citizens would not be eligible for federalsubsidies allowing them to afford commercial (i.e. – non-governmental) health insurance. Ordinarily, Congress is expected to fix such drafting problems itself. Each year Congress pass dozens of “Technical Corrections” bills to fix such errors in prior legislation. These bills are akin to software patches that are regularly released by companies to fix unanticipated “bugs” previously release programs. But this is no ordinary legislation. Having spent six years vilifying for President Obama and has supporters for passing legislation that improves American lives it is far too late in the day for the Republican Congress to replace demagoguery with common sense. By now, every reader of THCB must be aware the Supreme Court is hearing arguments this week in a case that could undermine much of Obamacare. Simplifying somewhat, the plaintiffs in King versus Burwell argue that the phrase “exchange established by the state” in the Affordable Care Act’s section 1311 dealing with tax subsidies precludes making such subsidies available to those who enroll through the federal exchange(s). The government argues (a) that other sections of the law make it apparent that all exchange enrollees are potentially eligible for subsidies, and (b) that language in section 1321 providing that HHS shall “establish and operate such exchange within the state,” where a state is unable or unwilling to create their own exchange, essentially establishes a state exchange. As many media articles have commented, the implications of a SCOTUS ruling for the plaintiffs are huge. Some five to eight million enrollees in the 34 federal exchange states would lose their subsidies, making insurance unaffordable for many of them, and premiums in these states would skyrocket—all while leaving the existing tax fines for being uninsured in place.